Welcome to the Home section. Here the latest content will be displayed. 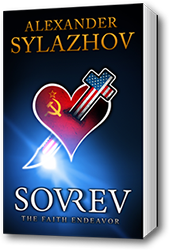 I submitted the cover for my self-published novel SOVREV: The Faith Endeavor to the e-Book Cover Design Awards, December 2017, organized by The Book Designer, a blog related to publishing hosted by Joel Friedlander. You can see the winners list here. Joel Friedlander's comments on the cover: "The dramatic graphic makes a great “hook” and the title treatment complements it well." Many thanks to The Book Designer for this opportunity and to Joel Friedlander for his wonderful comments. Terry Wolfe's long-awaited book on Hideo Kojima and the Metal Gear franchise, The Kojima Code, is now published and available for purchase. Click here to read the announcement. 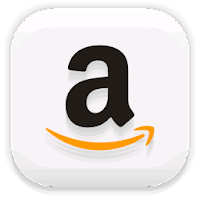 You may purchase it on Amazon here and at Barnes & Noble here. 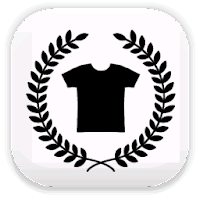 Make sure to also check out Terry's website, Mr. Wolfe's META GEAR, here. 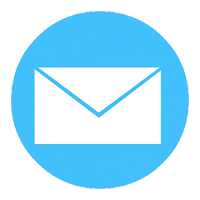 Terry Wolfe has been invaluable to me as a friend and intellectual partner, and was instrumental in helping this humble site grow, allowing me to publish guest articles on his site as well as promoting my writing and my ideas. Please, make sure to support him on Patreon here. 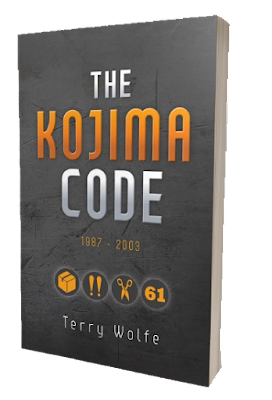 Terry Wolfe has been the premier armchair theorist discussing the wacky world of Metal Gear and its celebrated creator Hideo Kojima since at least 2006. His website, Mr. Wolfe’s META GEAR, has changed the way people think about the polarizing Japanese series that began way back in 1987. He has inspired hundreds if not thousands of others to do their own homework on the meaning behind the games, and appreciate the social, political, and metanarrative themes in these stealth action blockbuster stories. He believes there is still plenty more that the world needs to understand. "Follow the controversial video game designer from his days as a movie-obsessed youth to becoming one of the most famous and recognized creators in the world. An uncompromising auteur in a world of disposable entertainment and anonymous artists, his story is uphill battle to make his name known. Find out the official and unofficial ambitions behind his early work, including the METAL GEAR games, SNATCHER, and POLICENAUTS, leading all the way up to the postmodern wrecking ball that is METAL GEAR SOLID 2 -- which still has gamers scratching their heads to this day! Whether you’re a diehard fan of Kojima or a stranger to video games entirely, you’ll be amazed how far one man is willing to go to shape his own destiny." For those of you who know Spanish and Russian, I have made available my translation and analysis of the poem ‘Misty Morning’ by Ivan Turgenev. This translation was done for a presentation I gave for the Cultural Association "Friends and Pupils of Benigno Vaquero," held on the 21st of October 2017 in Pinos Puente, Granada. 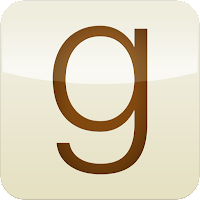 You may read or download it here. I'm very pleased to post my interview with Terry Wolfe on Mr. Wolfe's Meta Gear, which you can find on Terry's website. In the interview I detail my academic background, influences, preferences and political views. I also give my insights on the process of writing guest articles for Terry, the relevance of the Metal Gear series, the present nature and impact of the gaming industry and its future, and Kojima's upcoming Death Stranding. Many thanks to Terry for hosting this interview and for believing in my work and input so wholeheartedly. Be sure to follow the news on his incredible Metal Gear research book, which details Kojima's career and extensive analysis on the games. The book is already finished but will take a litle time to be available. You can here more about it in the video here. It honors me greatly to announce that my Spanish translation of Собрание чудес (Meeting of Miracles) for the "I Edición del Concurso de Traducción ruso-español" (First Edition of the Russian-Spanish Translation) of the Faculty of Translation and Interpreting, UGR, has won 2nd place. The translation can be read or downloaded here. Many thanks to Dr. Enrique Quero Gervilla, Dr. Simón Suárez Cuadros, Dr. Marina Siraeva and Dr. Pavel Marynenko, for this wonderful opportunity and for making this possible. 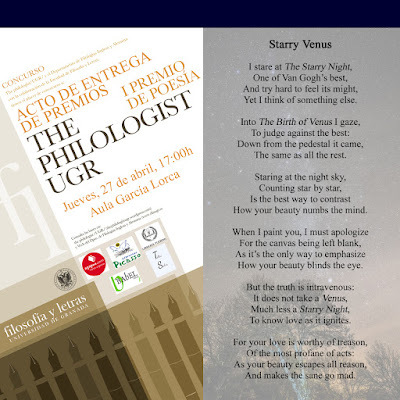 It honors me greatly to announce that Starry Venus, the poem I submitted to the first the philologist/UGR/ poetry contest at the Faculty of Philosophy and Literature, UGR, has won 1st place in the English category. The news post can be found here. Here is the poem as originally submitted to the contest. Many thanks to the the philologist/UGR/ editing team and all faculty members who made this possible. Special thanks goes to Miriam Fernández Santiago, Ph.D., who brought the contest to my attention. Yet I think of something else. The same as all the rest. How your beauty numbs the mind. How your beauty blinds the eye. To know love as it ignites. And makes the sane go mad. 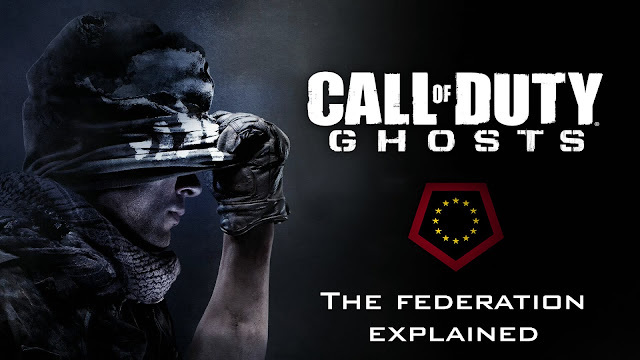 An analysis of the Federation of the Americas, the Latin America enemy depicted in Call of Duty: Ghosts. Throughout this analysis, you will see evidence regarding the geopolitical and historical situation of Latin America and its relation with the US, explaining why the Federation acts the way it acts in the game and giving much-needed background for its motivations and geopolitical drive. Whether you’re Latin American, Anglo-American or simply non-American, feel free to consult the sources and form your own opinions about these subjects as you read along. You may read or download the essay here. An article published in Spanish by Mundo Eslavo (Slavic World) the Russian Studies Journal of the University of Granada. Mundo Eslavo is an international double-blind peer reviewed, open-access journal which aims to publish original and significant scientific contributions in the area of Slavic studies. The Journal is published annually since 2002 and accepts research, interpretations, review essays on Slavic studies, and reviews of recently published books. 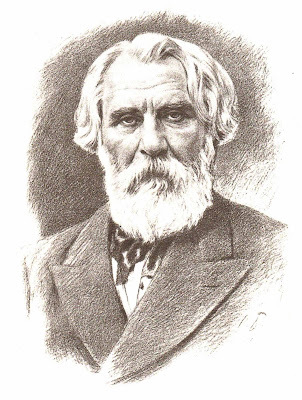 ‘Сон смешного человека’ (‘Son smeshnogo chelovieka’), translated into English as The Dream of a Ridiculous Man, is a short story by Fyodor Dostoyevsky written in 1877, four years before the death of the writer. This is the last short story by Dostoyevsky, and his penultimate non-fiction work, the last one being the novel The Brothers Karamazov. It represents thus one of his more mature texts, in relation to the expressed content, narrative style and symbolism, which detail Dostoyevsky’s philosophy at its most orthodox and purest state, addressing the reader in the form of a fictional character and detailing his ideology and doctrine so as to popularize it, and thus denounce the customs and modes of radical thought that, according to Dostoyevsky, began to threaten the old values in Russian society in the late nineteenth century. 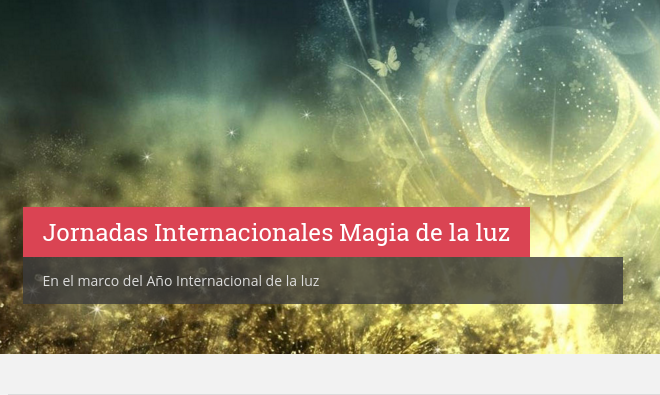 The article may be read at Mundo Eslavo here. You may also download it from my site here. Street Fighter II: The World Warrior and its derivatives needs no introduction. It was the videogame that redefined the fighting genre and revolutionized the videogame scene in general. All arcade fighting games after its release copied it, and its success made console gaming even more popular. It was, simply put, one of the most beloved videogame icons of the 90s. The year Street Fighter II: The World Warrior was released was also quite a convoluted one: it was released on the 6th of February, 1991, months away from the collapse of the Soviet Union, which would end once and for all the Cold War launching the world into a new era. The character of Zangief, for instance, was particularly affected due to the many references to the Soviet Union in the game, afterwards making Zangief heavily associated to the USSR, the developers forced to acknowledge the backstory even in later releases such as Street Fighter Alpha 2 and 3. Other characters like Fei Long from Hong Kong experienced this in substantially less important degrees. 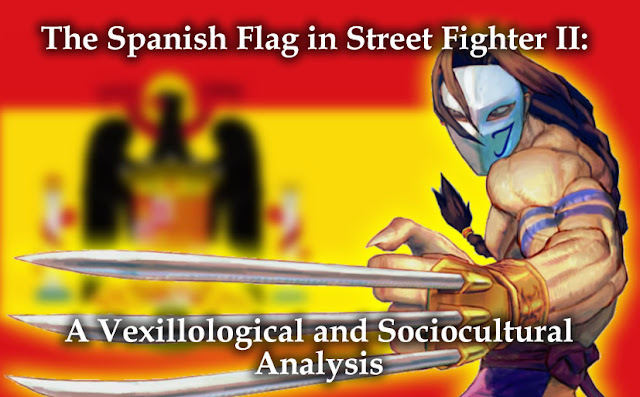 Vega, on the other hand, was associated from the beginning with a country that no longer existed: Francoist Spain, easily seen by the depiction of the flag. 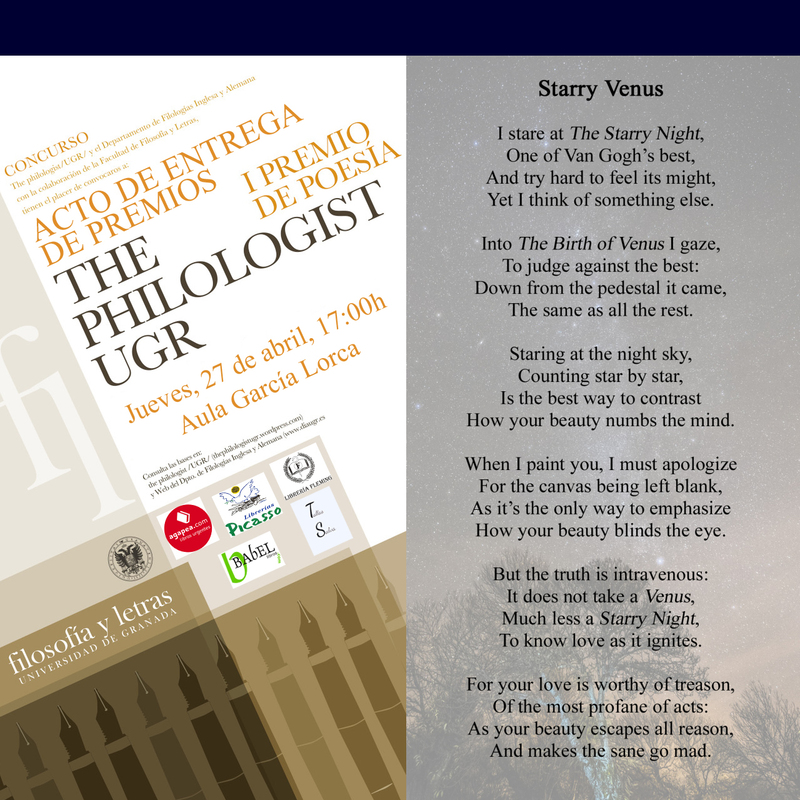 For those of you who know Spanish and Russian, I have made available my translation and analysis of the poem ‘Winter Night’ by Boris Pasternak, made for a presentation I gave for the "Magic of Light" International Dissemination Sessions, held from the 14th to the 16th of December 2015 in the Park of Sciences, Granada. 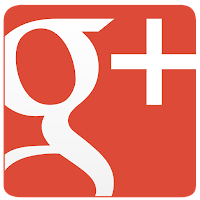 You may read or download it here. The "Magic of Light" International Dissemination Sessions comprise a scientific forum dedicated to the hermeneutics of light on the evolution of human thought with the analysis of theories and experiments in this respect, to promote universal awareness of the importance of light in the life of society. 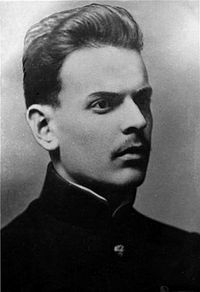 I hope you shall find my translation and analysis of this well-known poem to be interesting from a translation and Russian sociocultural perspective.